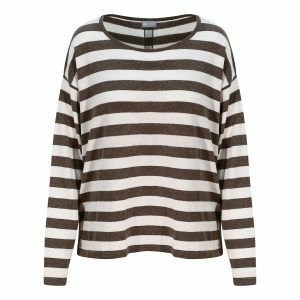 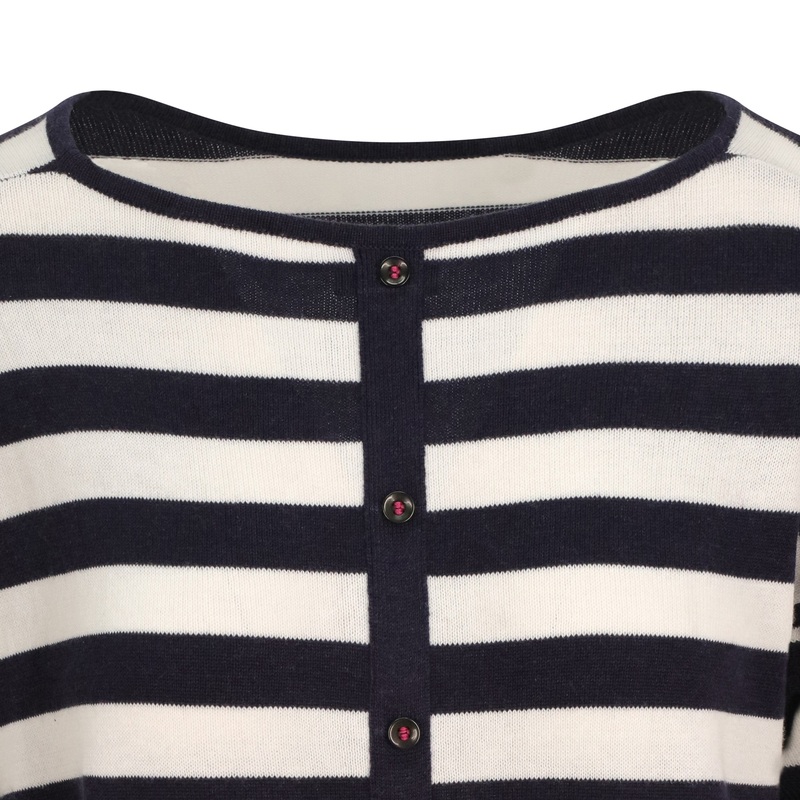 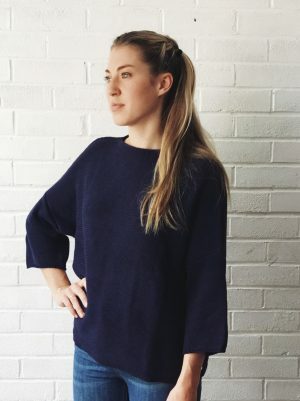 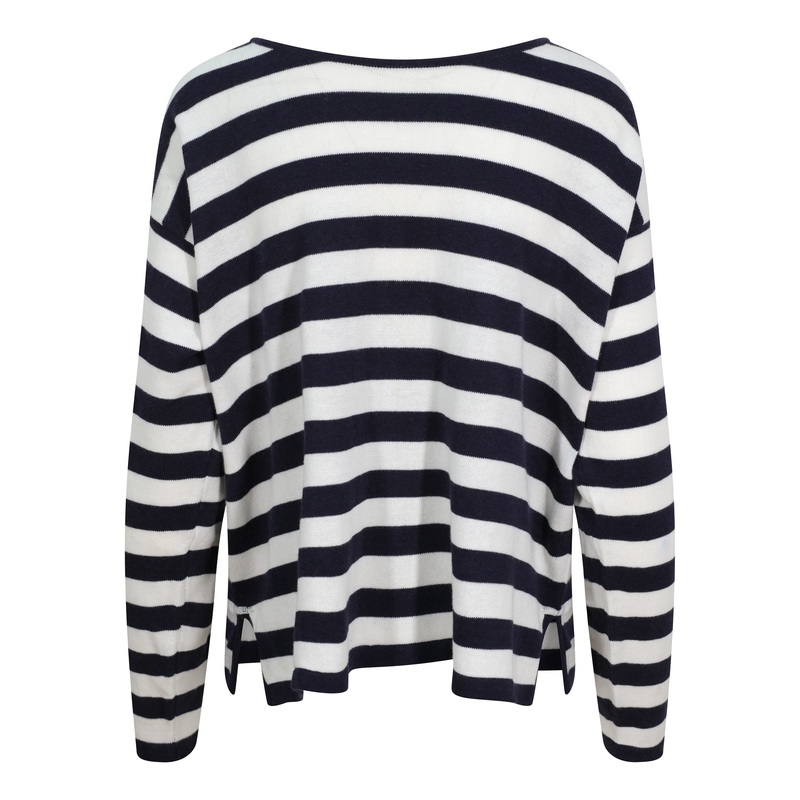 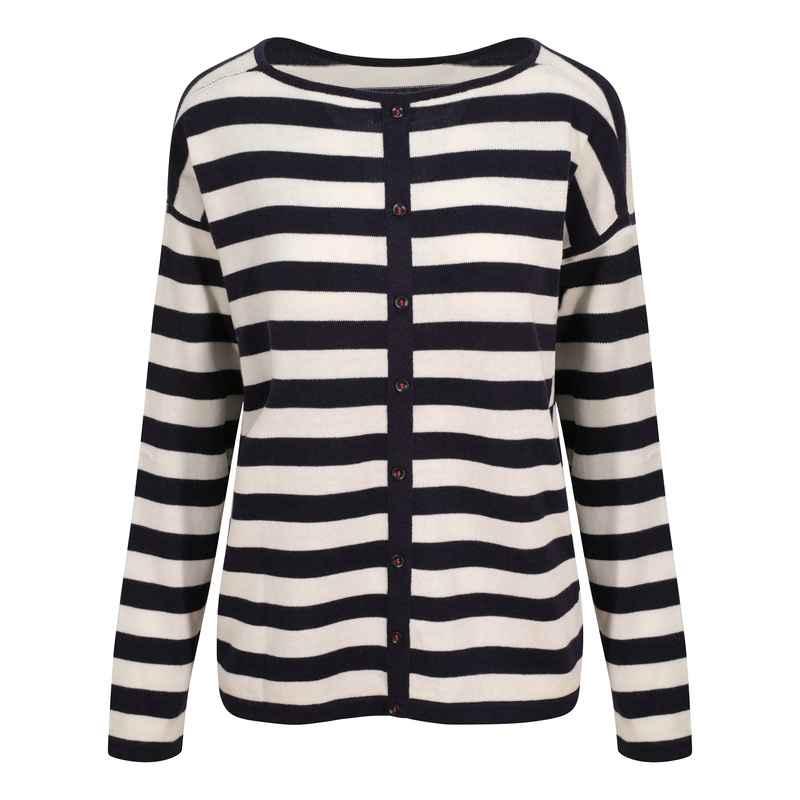 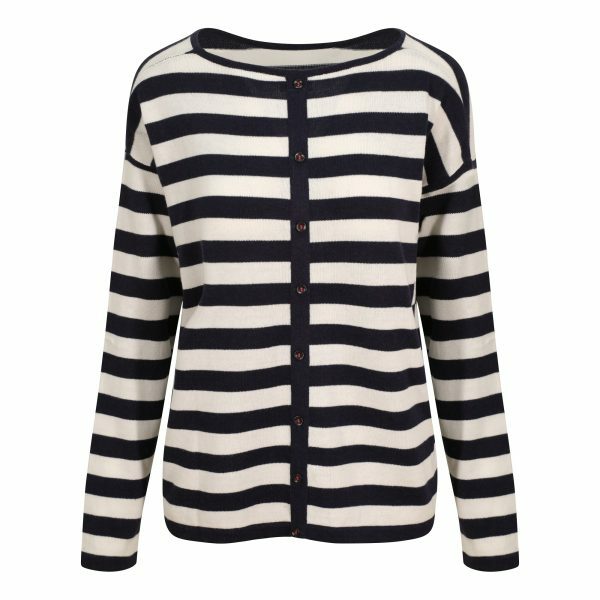 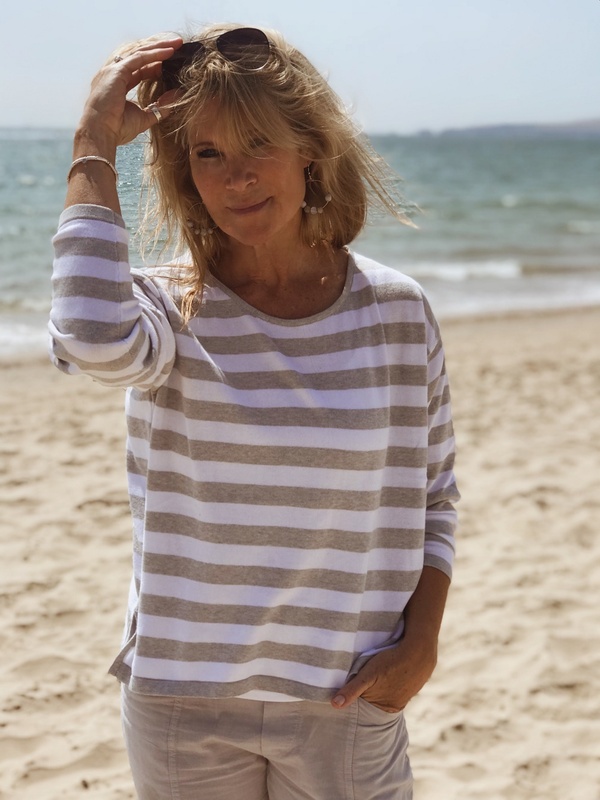 This fabulous Breton Top is crafted in 100% premium cotton yarn, in navy and ivory white stripes, with the button detail on the back adding a zazzy twist. 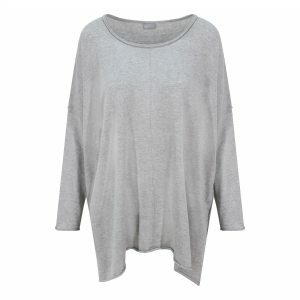 The relaxed box fit features a flattering scoop neck and two vents in the hemline. 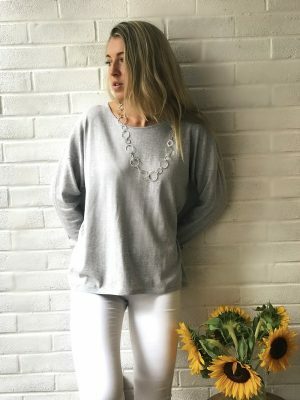 Extremely easy to wear and so soft against the skin. 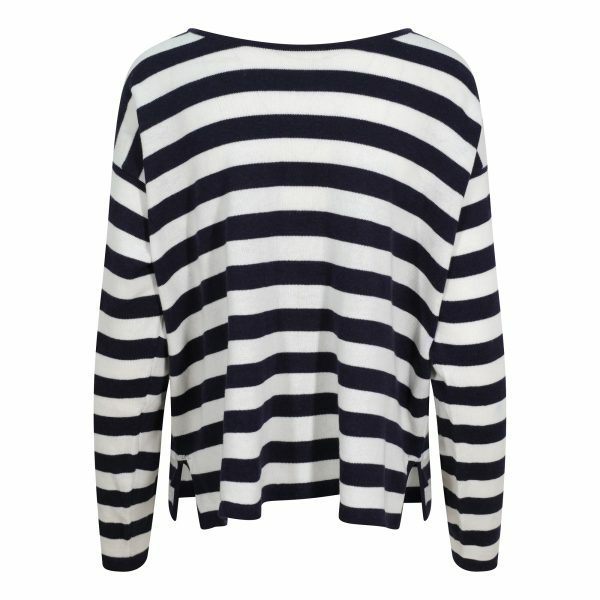 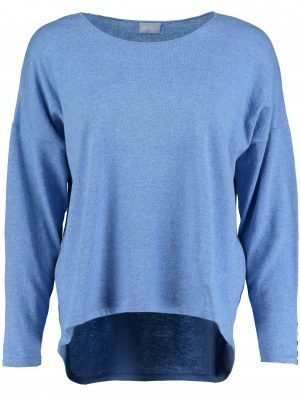 Pair with our cotton trousers or with your favourite jeans to get that fabulously fresh look.